I've said it before, I'll say it again... by far my favourite part about writing patterns are when you guys sew them and make them completely your own. My intention has always been for my patterns to be a jumping off point... and boy you guys sure know how to nail it! Kim (@iadorepattern) slayed me with her crisp monotone cassette tape block. I'm eagerly awaiting her embroidered label. Remember the collection Good Hair Day? That super cute collection for Windham Fabrics was hers! 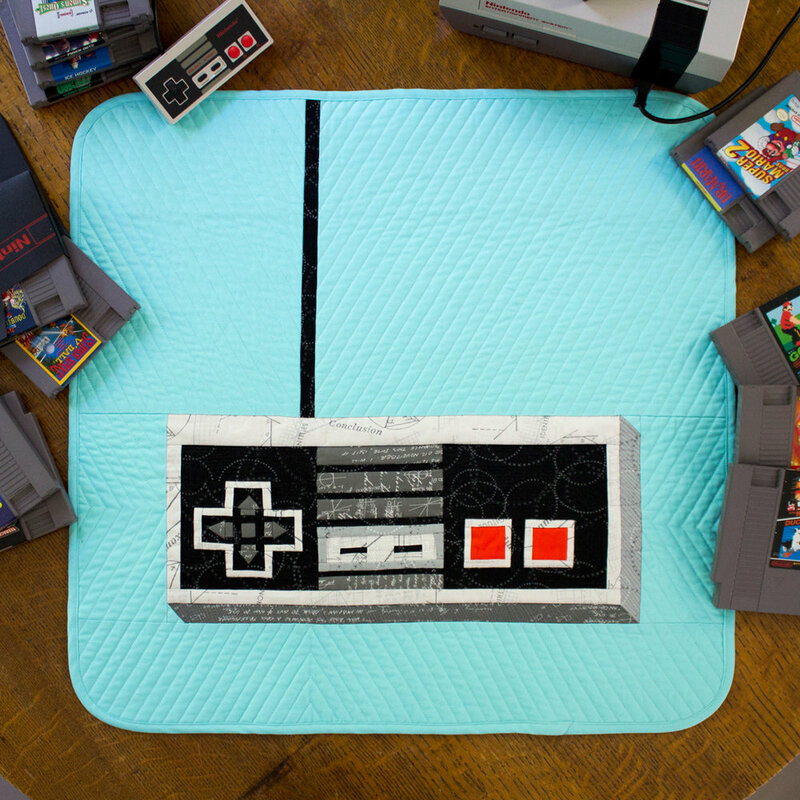 Chelsey (@chelseylanefeilds) recently made a Boombox pillow. With piping! Angelini (@suchastitch) has finished the front of her boombox. Gah! I'm loving the prints she's used. Saru (@sewaftersix) has just begun her Boombox sewing machine cover journey. I'm LOVING her fabric pulls! 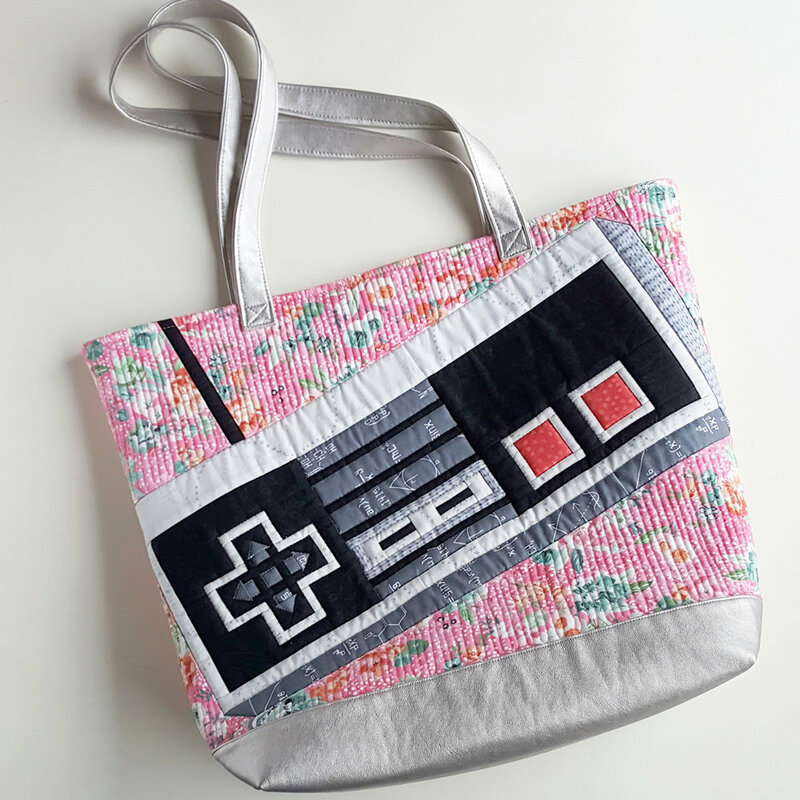 Even though technically the sew-a-long is over, the instructions are still up on the newsletters. This fall I'll be compiling the instructions into two tutorials: one for the sewing machine cover and one for the zippy pouch. My Cassette Tape quilt is in Fresh Quilting Episode 102: Shapes! My Boombox quilt was included in Modern Quilts: Designs of the New Century. 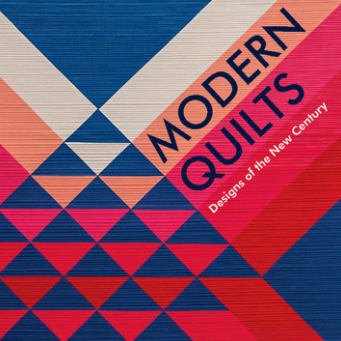 A book put out by the Modern Quilt Guild. It comes out this December and can be pre ordered HERE. In both cases I am so honoured and tickled to be included with such talented makers. It's all been pretty surreal! HAVE YOU SEEN: Felice Regina's (@lamlunasol) Quilting & Sewing Enamel Pins on Kickstarter? They are SO snazzy!!! I WANT ALL OF THEM! Which leads me to...RECOMMENDED FOR YOUR 80's PLAYLIST this week: A good old Canadian band. Loverboy! TURN ME LOOSE and LOVING EVERY MINUTE OF IT. Which is how we all feel when we go fabric shopping right?! PS. I met Loverboys' front man, Mike Reno in the late 90's. Sadly he wasn't wearing his red pants!